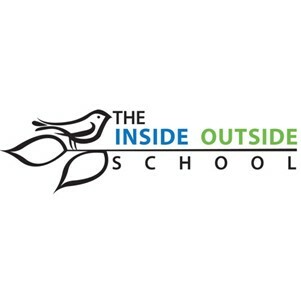 Inside Outside School is a nature based elementary school located on Gilleland Creek just north of Austin, Texas, offering children the opportunity to enjoy their childhood as they learn about the world and acquire the tools of learning that they will need to explore the world. Our students have a CSA this year, offering baskets of produce grown on campus along with baked goods from cooking classes and things like calendula oil and lavender bath salts made in apothecary class. We have 3 goats, a donkey, 6 chickens, and a duck. Every afternoon students have time to play in the creek and the riparian woodland. Our yearlong integrated theme this year is "What's for dinner,"